The fun in hearing others make fools of themselves is limited, though. More often, listening to self-justification attempts is simply boring. Here, then, is how to apologize while retaining respect. If you keep talking, your tongue will lead you down the path of excuses and self-justification. So no extra words. No “buts.” No detailed explanations of why you did it, unless an explanation is essential to mend hurt feelings. An attitude of “I’ll condescend to apologize even though I outrank you” will show, and earn almost as much disrespect as no apology at all. If you broke something, replace it. If you embarrassed someone in front of others, apologize in front of others. If your child missed an event because you were late, take the child on a special outing to make up for it. 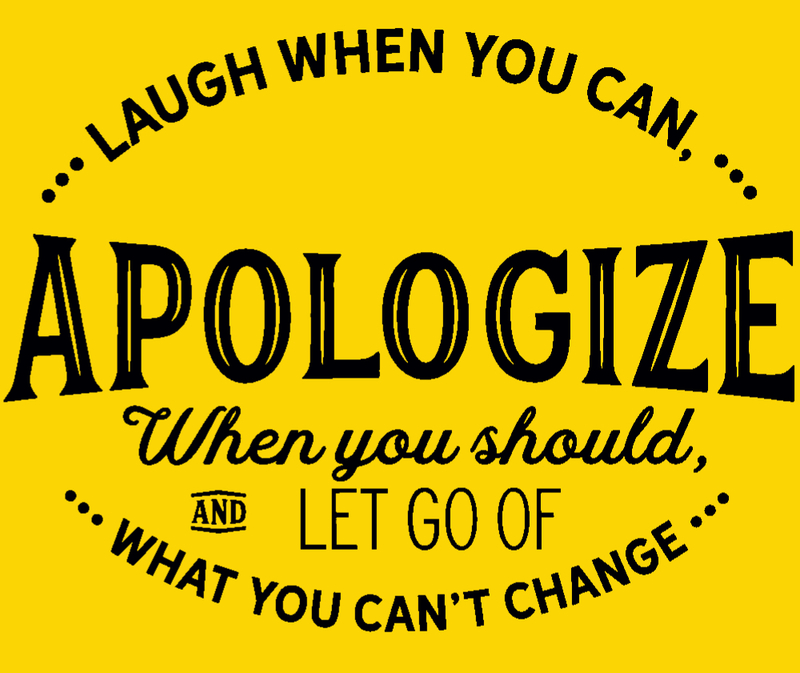 Besides apologizing for your gaffes, learn from them. Don’t be the person who apologizes for the same thing again and again, until everyone is convinced that “She’ll never change, and doesn’t want to.” If you have a firmly entrenched bad habit, make a solid plan for changing it, even if that requires professional help. Making up for mistakes is essential, but not making mistakes is even better. DOES YOUR FAMILY HAVE SCAPEGOAT SYNDROME?